Playing with his train set for the first time in ages! 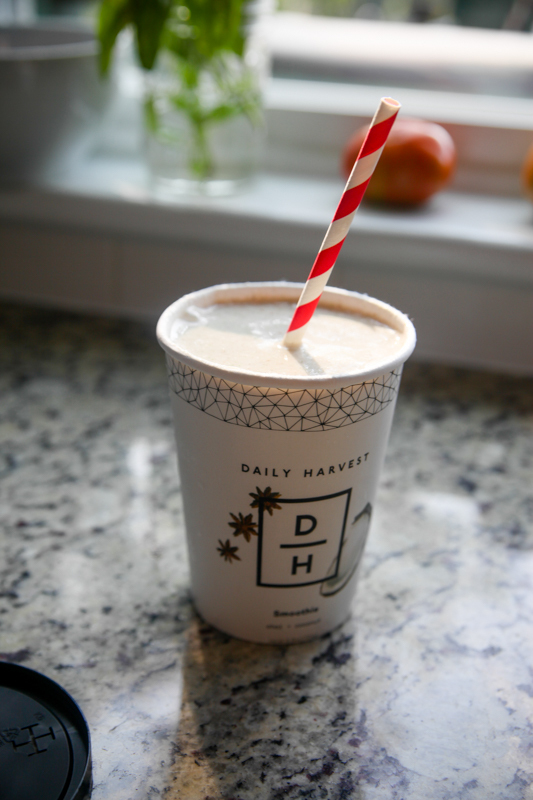 Daily Harvest sent me a sample set of their smoothies, and I’ve been loving them. 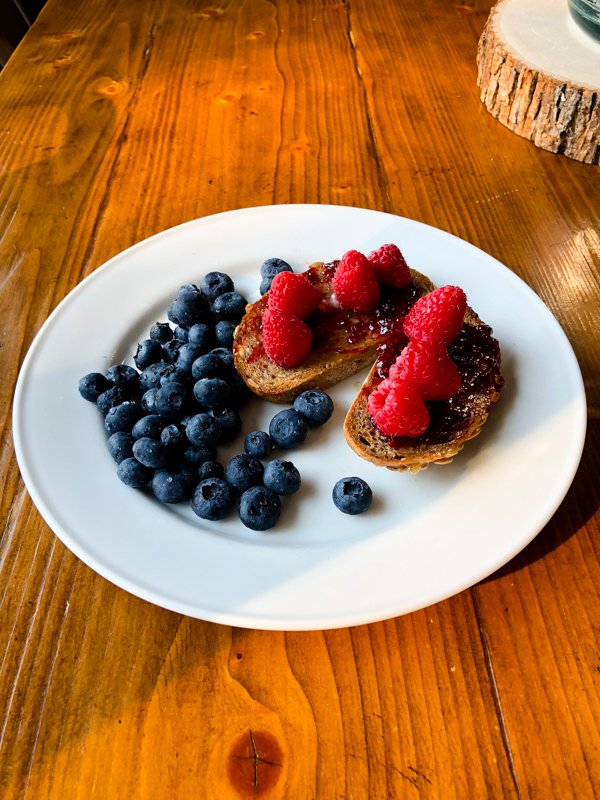 I will definitely be ordering another batch near the time that the baby comes, because these are the ultimate new-mom breakfast! While I couldn’t justify the cost of one-a-day forever, during periods of stress or busy seasons, these would be a wonderful gift to yourself or a friend. While obviously making an at-home smoothie doesn’t take that long, sometimes getting the ratios of fruit to milk right are hard. And sometimes you run out of frozen berries. And sometimes you literally don’t have 5 extra minutes in the morning to measure everything out. 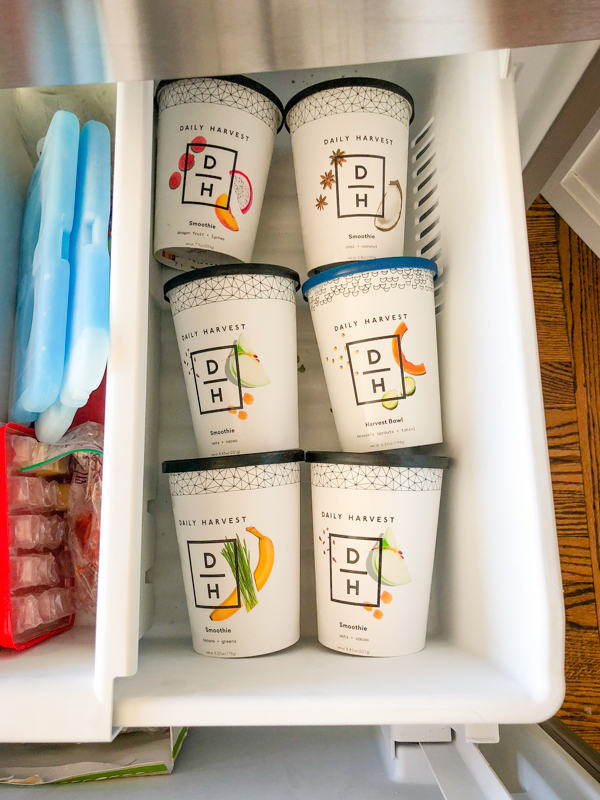 I love that the DH fruit, veggies, and flavors are pre-measured in the cup and you just add milk of your choice and blend – and then you can enjoy it right in the same cup and not have an extra dish to wash (except that ole blender)! They have a bunch of superfood ingredients too, so they’re different from my usual smoothie flavors. Cauliflower and zucchini are two things I have never added to a smoothie, but I couldn’t taste them at all! So far I’ve tried and loved the chai and coconut and the dragon fruit + lychee. Both were great. 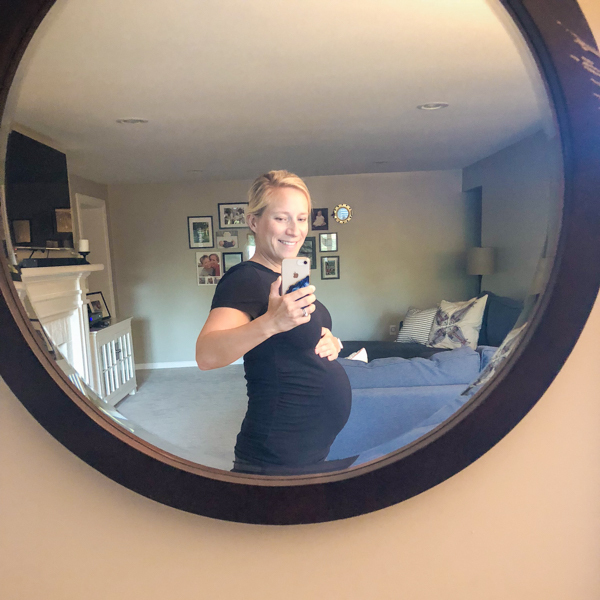 Can’t wait to try the hot harvest bowl too – but I’m saving that for when the baby comes! If you’d like three FREE smoothies for yourself, you can use my link or discount code: katheats. 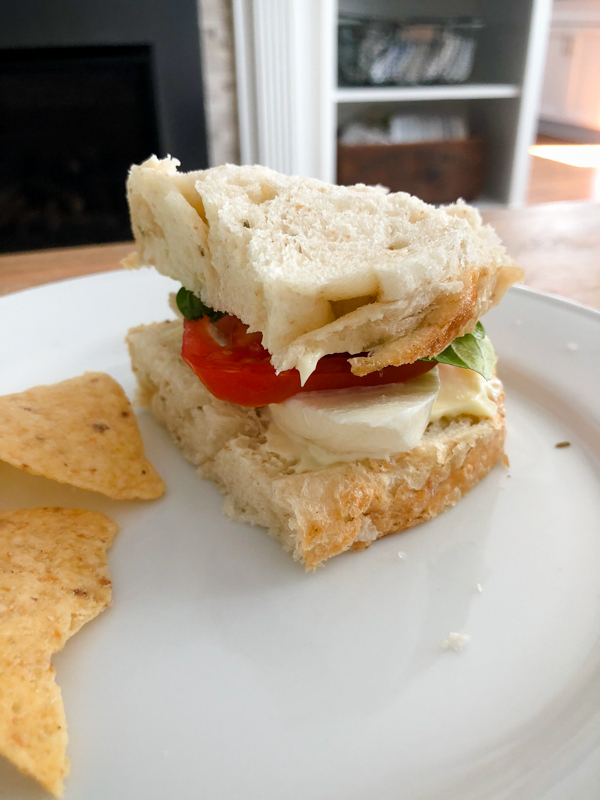 We are eating all the caprese sandwiches before the tomatoes are gone! This was on this wonderful rosemary bread from Whole Foods. Two jokes to end the day because Mazen loves jokes these days! Because he was a chicken! Why did the lion cross the road? The Daily Harvest smoothies look so good! Super convenient too, perfect for lazy people like myself 😉 and is it weird that I’m jealous of Mazen’s train toy set? I want it myself haha! So do they blend in the cup? Or you dump it in to the blender, blend, then back into the cup? I guess that’s the same as a regular smoothie. 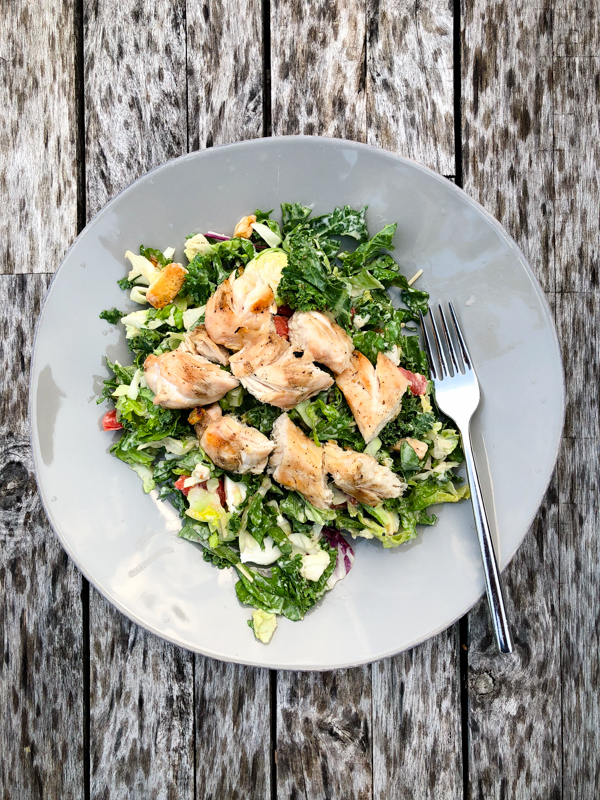 Still sounds yummy and easy for working moms! Dump in a blender and pour back into a cup. The magic is in the pre-portioned, superfood ingredients and built in to-go cup. I agree – it’s not something I would live on, but for any higher stress or short-on-time period – I really fun treat. I’ve been thinking of ordering some DH or smoothiebox like you said for periods of stress lol aka newborn!! 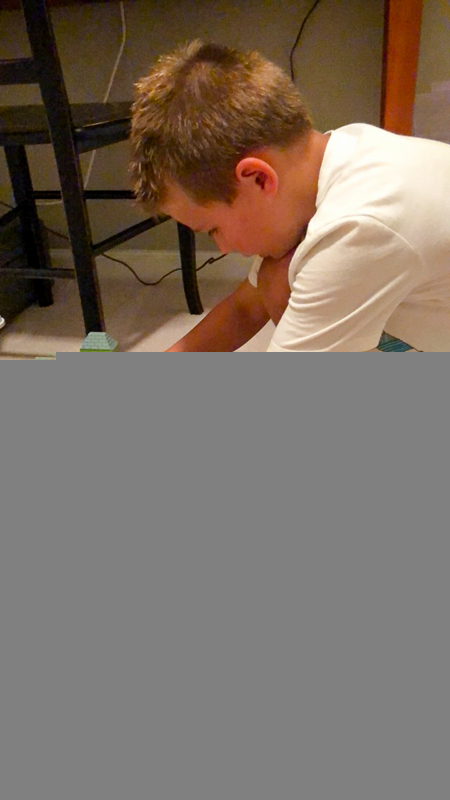 You will seriously LOVE the harvest bowls from Daily Harvest after your little boy comes! They are saving me for a quick and healthy lunch option right now! Yay!! I will definitely order another batch with more savory options. I’ve seen you rave about them! I’ve heard of the daily harvest smoothies but have never tried them. I like the combinations so may have to give it a try! 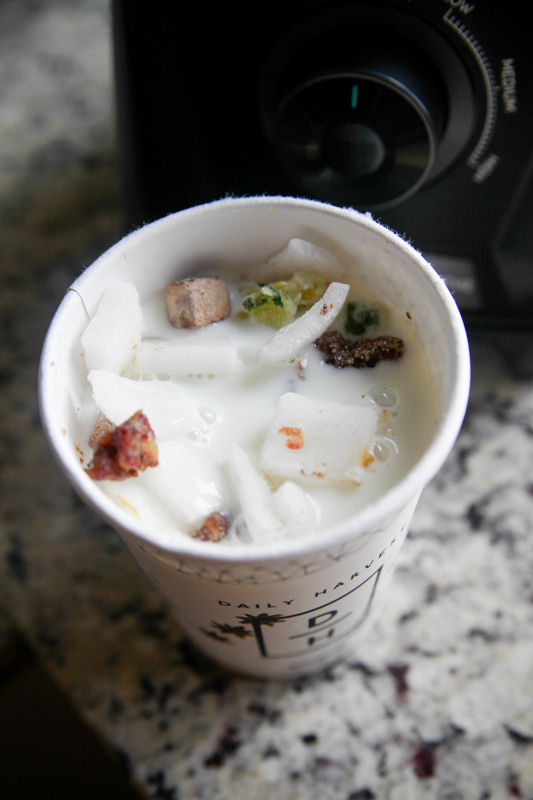 K, dumb question….. so if the cup of ingredients is, well, frozen, then how do you get it out of the cup to blend?? Are the ingredients seperate and frozen pieces? Or you have to defrost it a while? My blender isn’t exactly turbo powered so a huge frozen chunk wouldn’t work well. Seems like a good solution for time crunched moments. They come out loosely, which suggests they were frozen individually and then mixed. Like a bag of frozen berries! I may have to give those smoothies a try! Sounds and look delish and like you said, different from what I’m used to! Love the jokes! So cute!